They say never judge a book by its cover, though when it comes to real life, it is often quite hard to stick to this simple saying, as after all, judging a house by its exterior is a whole different ball game. 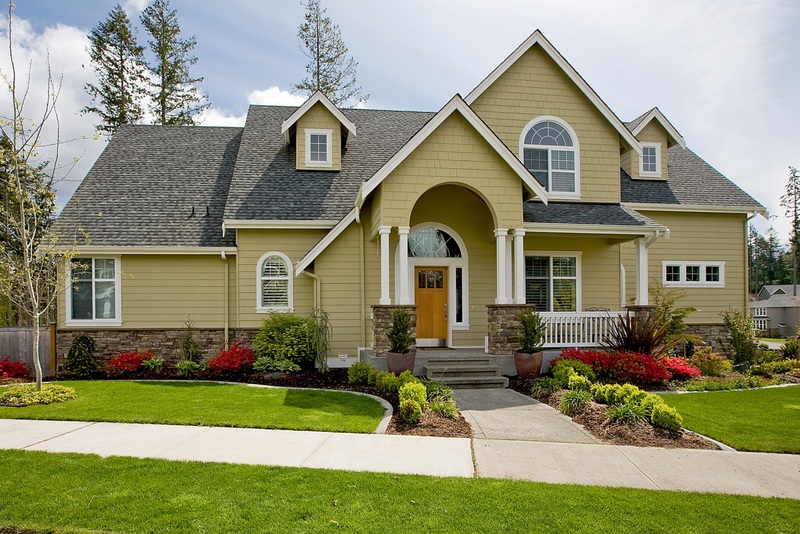 The front of your house not only provides a very convenient shield against the outside world, but it also serves as an advertisement to all those who see it, so making sure that it is in good condition is important. If the front of your home represents its face, then the focal point of this is surely its door. Though replacing a door can take quite a bit of time and effort, some of the time, all that is needed is a fresh lick of paint, which can take just a few hours. Doing this will not only likely save you time, but you may just get a higher offer for doing so. If you need a handy tip or two, here’s a great post on how to get started. Everybody loves a neat garden, and there’s no easier way of saying that you care about your home by keeping an array of beautifully kept plants. What’s important however, is that you remember to look after your garden through the winter period, as many people often neglect their garden during this time of the year. Here is a great article published by the Royal Horticultural Society about some of the odd jobs that you can do during the winter period that will pay off when summer comes around. If you happen to have a driveway, and have had one for some time, then there is a possibility that it may need a little freshening up. Thankfully, you can do this in a number of ways and the vast majority of them are relatively cheap and also quite easy to accomplish. If you need a little inspiration for your driveway, here are a few ideas, and here is how to successfully make or refresh your gravel driveway. If you are looking to move anytime soon, and are keen on selling your house, you have to firstly see your home from a buyer’s perspective, and that means seeing it objectively. It’s also important you check you have good security, Fast Keys have a range of different locks and keys for you to choose from and Seymour Locksmiths can fit them for you. Therefore, take pictures of your house from all angles, both on the inside and the out, and see just how it looks from the point of view of someone who has never seen it.